Football has always been Cristiano's passion. From a kid in Madeira with a dream to an icon at the top of the game, Cristiano's passion has carried him through a spectacular career. 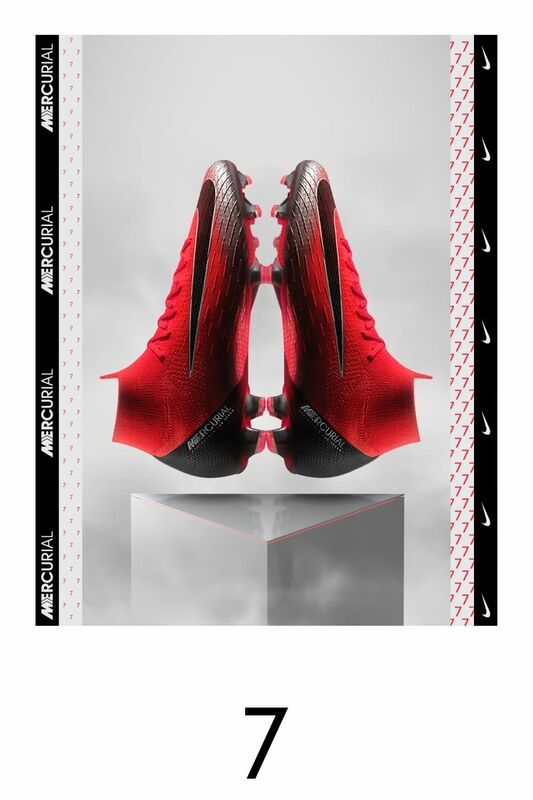 As long as he's playing the beautiful game, CR7's legacy will be written in Mercurial. 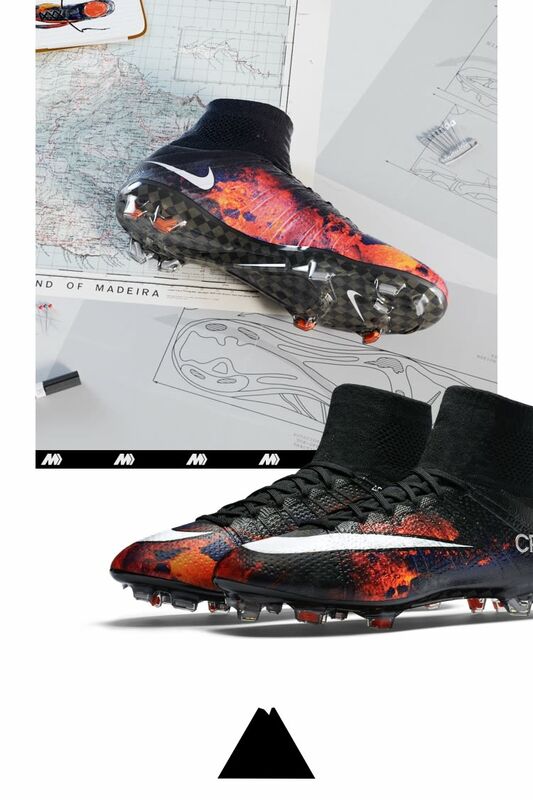 The first of the seven signature boot chapters, the 'Savage Beauty' Mercurial is inspired by Ronaldo's volcanic homeland of Madeira. Growing up surrounded by one of the world's most destructive natural phenomena, Ronaldo's fierce passion and explosive ability on the pitch are captured in the vibrant, six-colour graphic that flows from toe to heel. The 'Natural Diamond' boot was inspired by the moment Ronaldo left Madeira to realise his dream of becoming the world's best. 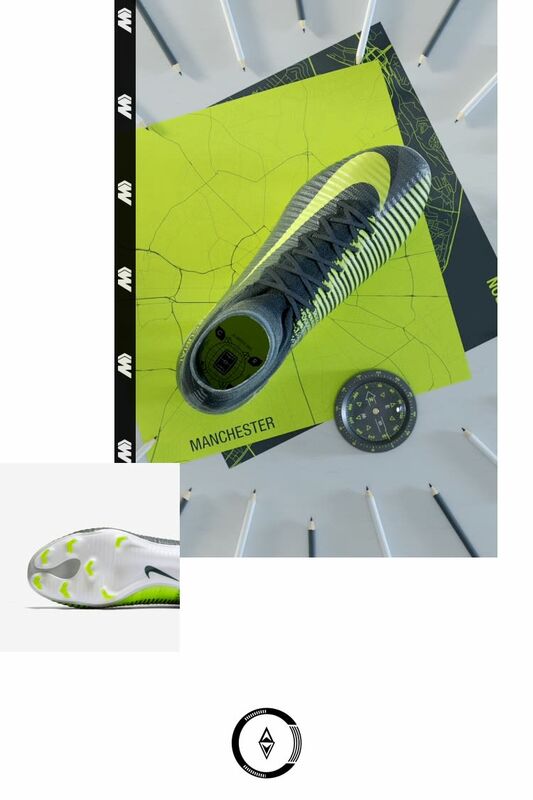 The boot's design pays tribute to the way pressure polished and refined CR7's game, with a shimmering upper and a rocky texture on the heel that smooths out towards the toe. The third chapter in this boot series is inspired by Ronaldo's performance in Lisbon on 6 August 2003. That display announced him as one of Europe's brightest young talents and earned him a move to Manchester and the Premier League. 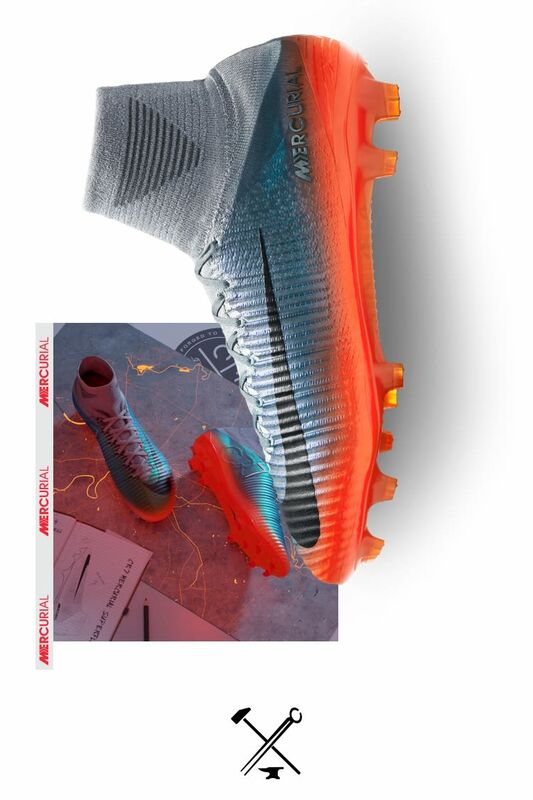 The boot design celebrates that moment, with subtle reflective dot graphics that recreate wave patterns on the classic chrome Mercurial Vapor—the boot Ronaldo was wearing the first time the world took notice. 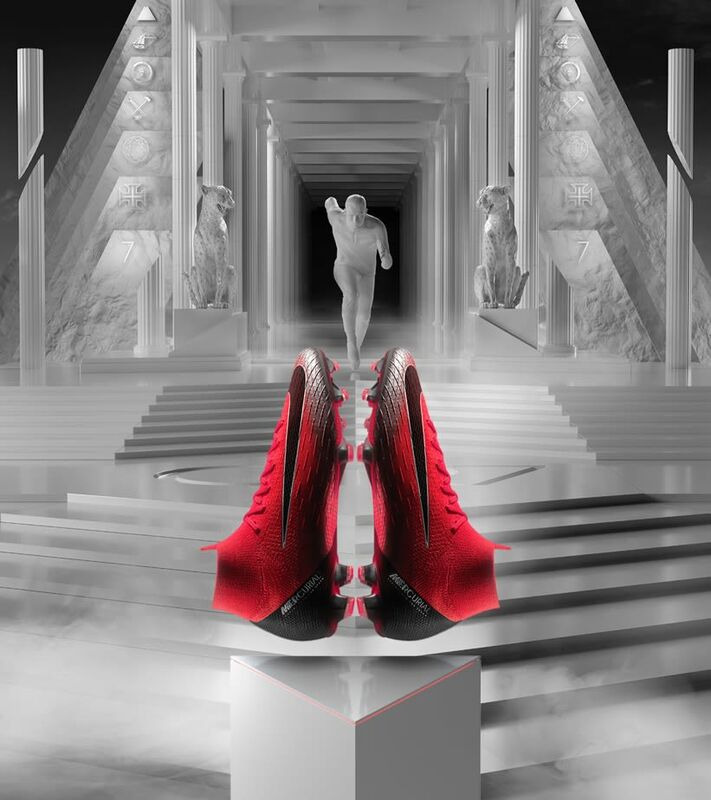 Inspired by his time in Manchester, the Forged for Greatness Mercurial celebrates the moment CR became "CR7". The boot pays tribute to the explosive six-year period in England, when he put on the famous No. 7 shirt and evolved from a raw talent to a global icon. 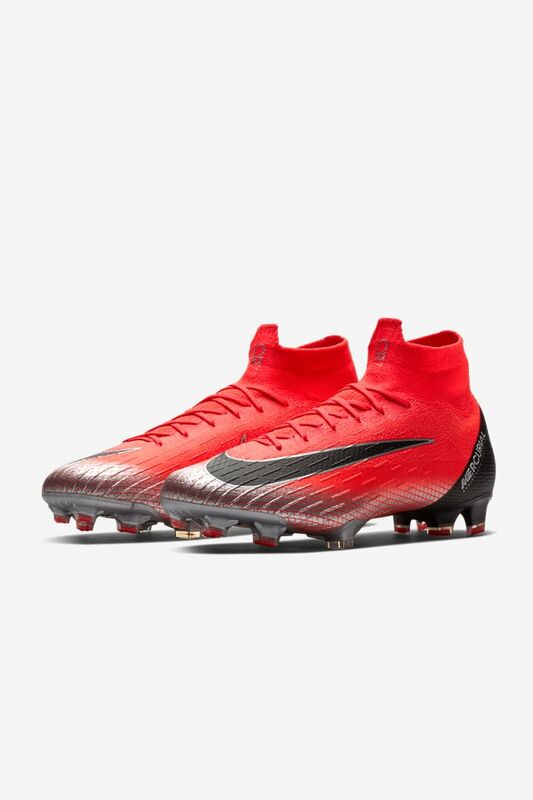 The design fuses a Total Crimson soleplate with a metallic upper, reflecting his transformation through a molten steel-inspired colourway. After a record transfer, Ronaldo arrived in Madrid, where he would perfect his game. This boot nods to the biggest moments in his unrivalled career. 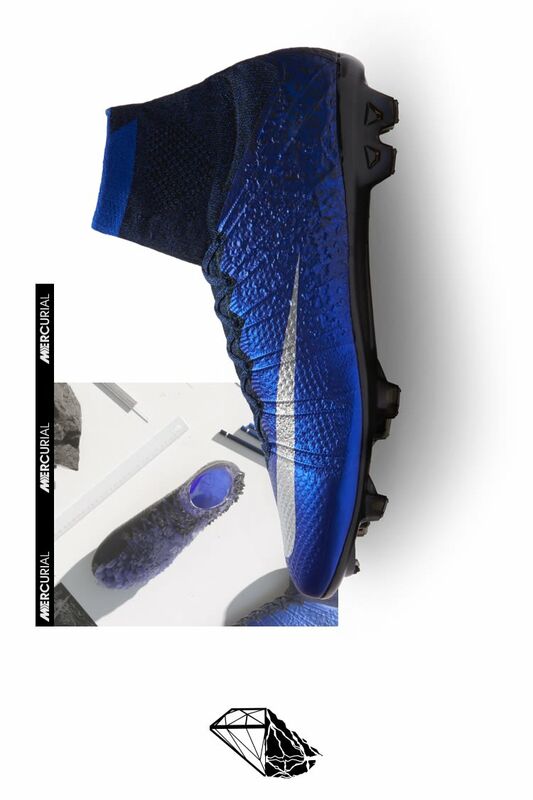 The clean fractal diamond pattern etched onto the upper is inspired by the first Mercurial he debuted in Madrid. Multi-coloured Flyknit yarns—combined with an iridescent coating on the upper—represent light shining through a diamond, symbolic of Ronaldo's record-breaking performances. 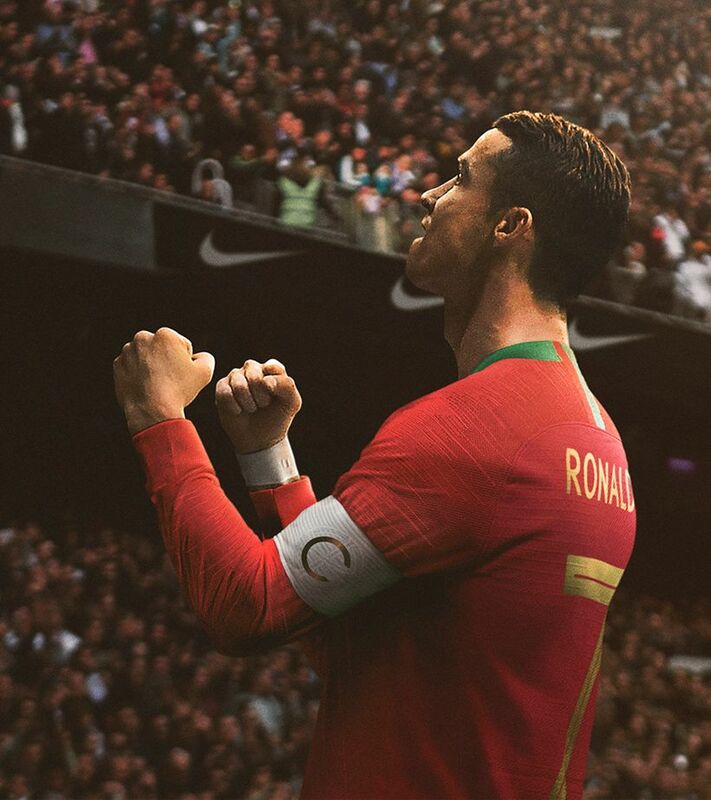 The sixth chapter of CR7's boot legacy tells the story of his ability to lead Portugal to victory—whether from the pitch or the sideline. 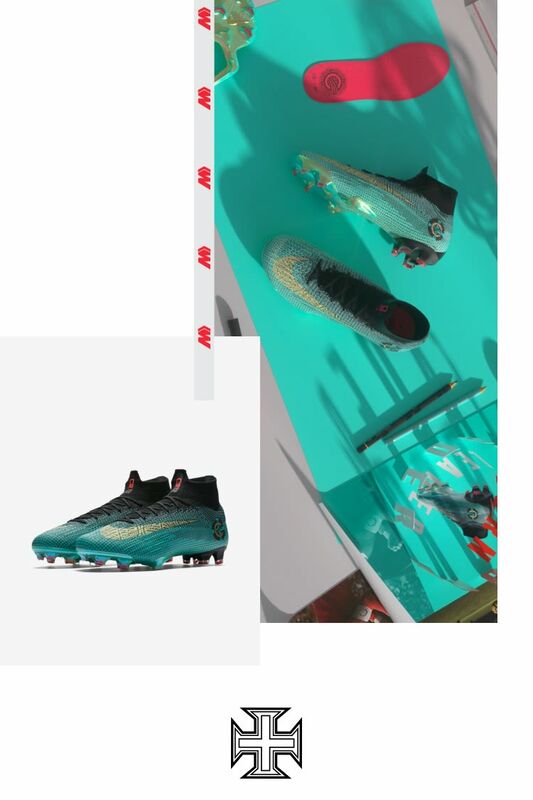 The special-edition Superfly 360's colours are influenced by Portugal's past away kits, and the boots feature armillary sphere patterns, inspired by the country's maritime history. In 2008, Cristiano laced up football's first carbon-fibre boot and claimed Europe's top prize for his club. 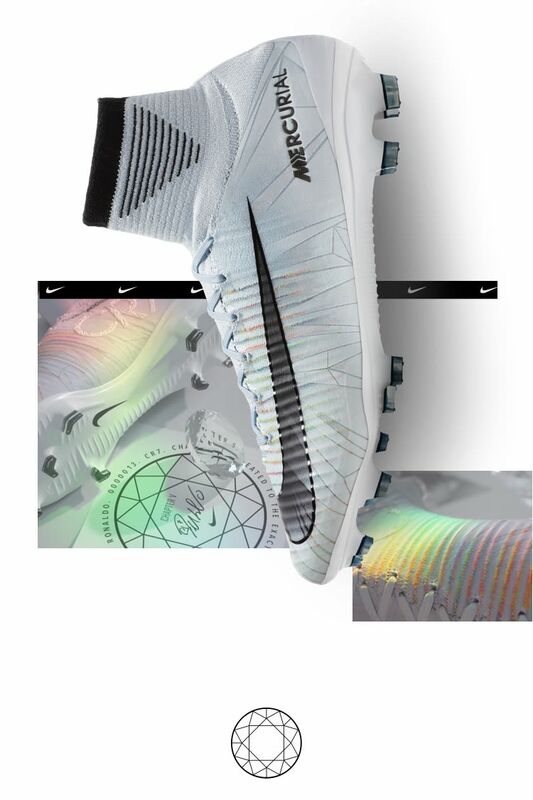 The Chapter 7 Mercurial pays homage to that 190-gram experiment in minimalism, with a black heel and Swoosh that reference the carbon fibre of the original Mercurial Vapor SL. The player-edition boot celebrates the dream that has fuelled CR7 from the very beginning.